Fits OEM Cylinder, Please verify kit before ordering. Resist oils, hydraulic fluid and water. 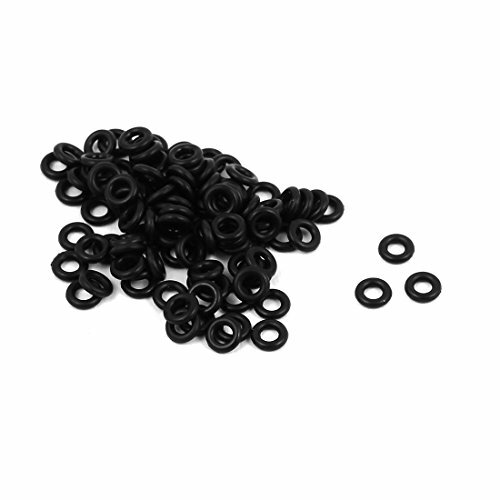 Flexible nitrile rubber O ring seal. Features:4mm outside diameter and 1mm thickness. These O ring are used on automotive components, machinery components and bathroom facilities, household electrical appliances and electronic instruments, etc. Resist oils, hydraulic fluid and water. 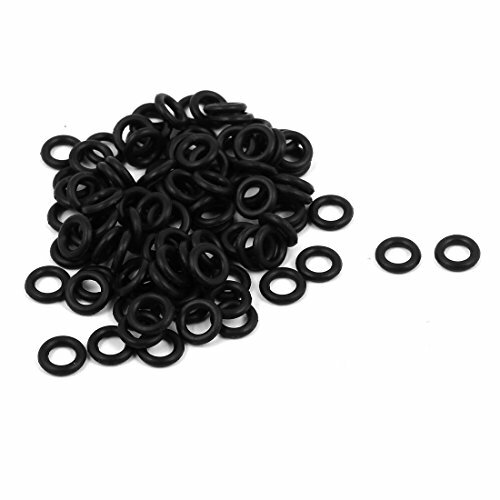 Flexible nitrile rubber O ring seal. Features:6mm outside diameter and 1.5mm thickness. These O ring are used on automotive components, machinery components, and bathroom facilities, household electrical appliances and electronic instruments, etc. Resist oils, hydraulic fluid and water. 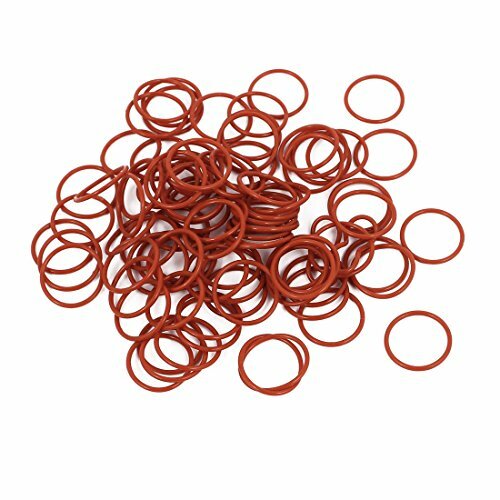 Flexible nitrile rubber O ring seal. Features:7mm outside diameter and 1mm thickness. 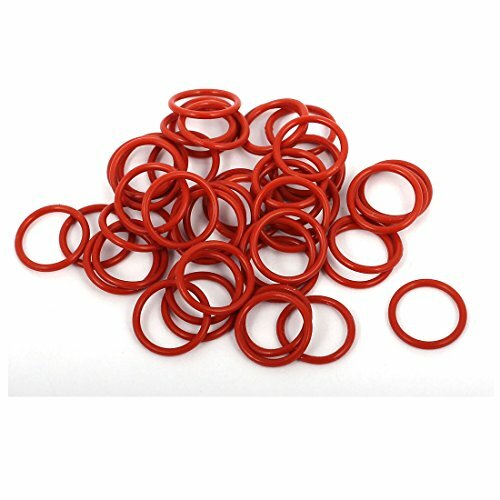 These O ring are used on automotive components, machinery components, and bathroom facilities, household electrical appliances and electronic instruments, etc. Description: Resist oils, hydraulic fluid and water. 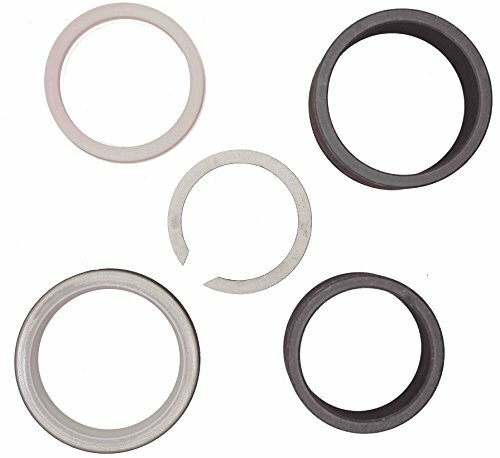 Flexible nitrile rubber O ring seal. Features:10mm outside diameter and 1mm thickness. These O ring are used on automotive components, machinery components, and bathroom facilities, household electrical appliances and electronic instruments, etc. Description: Resist oils, hydraulic fluid and water. 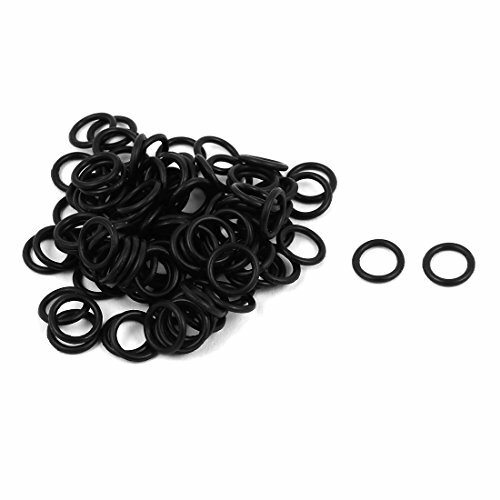 Flexible nitrile rubber O ring seal. Features:14mm outside diameter and 1mm thickness. These O ring are used on automotive components, machinery components, and bathroom facilities, household electrical appliances and electronic instruments, etc. Resist oils, hydraulic fluid and water. 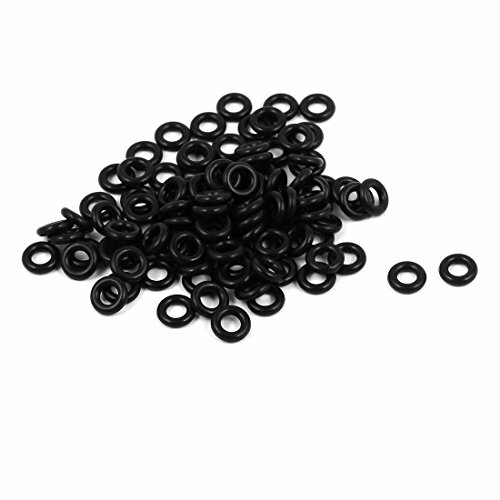 Flexible Nitrile Rubber O ring seal. Features:9mm outside diameter and 1mm thickness. These O ring are used on automotive components, machinery components, and bathroom facilities, household electrical appliances and electronic instruments, etc. 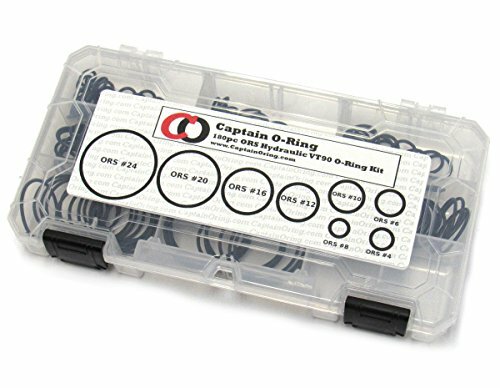 Captain O-Ring's 180 Piece ORS Hydraulic VITON90 O-Ring Kit includes 8 sizes and 180 total o-rings. The kit includes #4 (1/4" Flat Face), #6 (3/8" Flat Face), #8 (1/2" Flat Face), #10 (5/8" Flat Face), #12 (3/4" Flat Face), #16 (1" Flat Face), #20 (1-1/4" Flat Face), and #24 (1-1/2" Flat Face) o-rings. 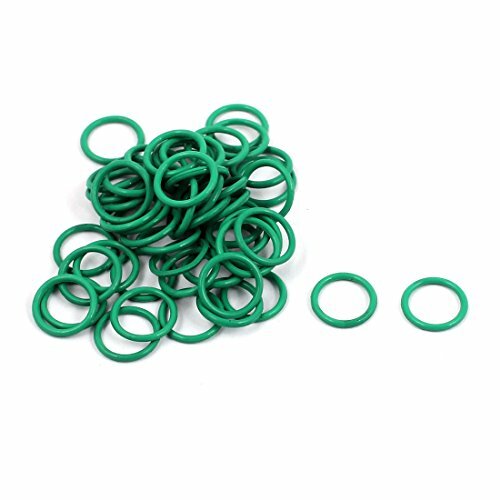 This kit contains o-rings made of Genuine DuPont VITON (90 durometer) material, also known as VT90. 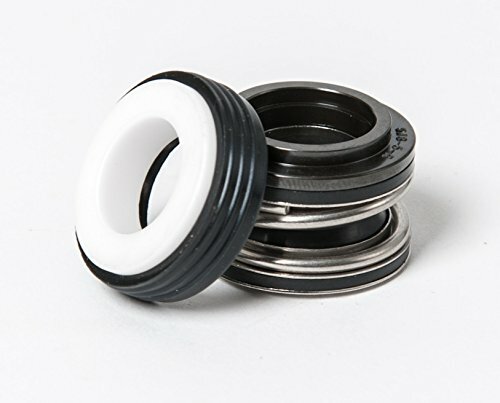 Viton 90 is the top shelf o-ring material used in ORS Flat Face seal applications due to its resistance to many hydraulic fluids and its flexability/sealability in low temperatures. The included size chart on the front of the kit makes sizing up o-rings quick and effortless. 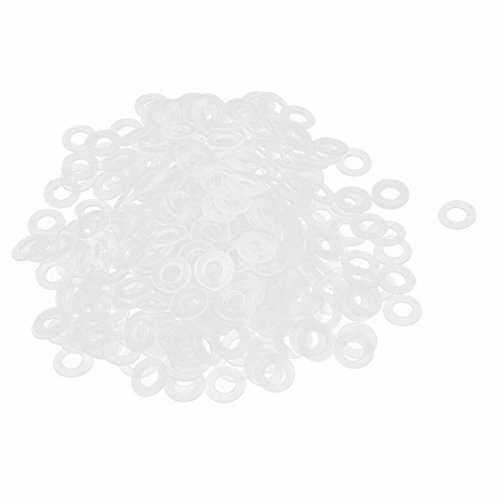 O-Rings are conveniently sorted by size in a shatterproof Flambeau divider box. What to expect: This item includes 180 O-Rings in a Flambeau plastic divider case with "Captain O-Ring" branded packaging. Manufactured and warrantied against defect for one year by Captain O-Ring LLC. 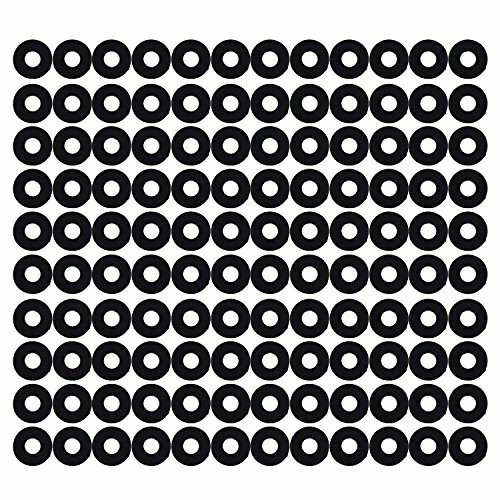 "Captain O-Ring" is a registered trademark of Captain O-Ring LLC. 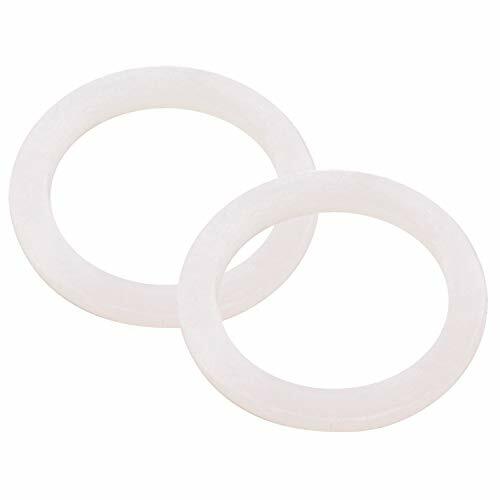 This DERNORD flat seal ring washer is made of silicone material, round shape, easy to install. 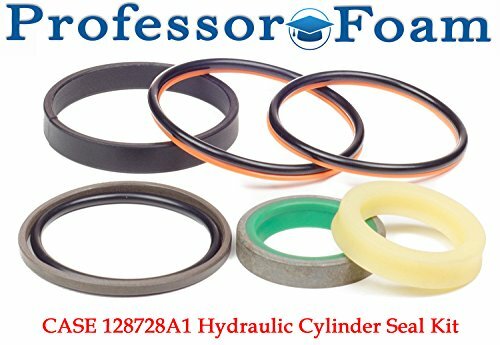 Silicone Washer Inner Diameter: 38mm / 1.5"
Professor Foam Branded cylinder seal Kit that contains necessary seals for a hydraulic reseal. All parts are quality checked and protected by a poly bag to ensure they are ready for your professional repair and install. BE sure to double check part number with OEM before purchase for your intended application. Picture is of the actual Kit, but some part variation may occur due to part upgrades or various suppliers. Professor Foam kits meet or exceed OEM specifications, provide great performance and wear life, and are paired specifically for your application. Put our kits to the Test on your next hydraulic repair. BE sure to verify that your purchase is Professor Foam Branded. Demand the brand. Professor FoamTM does not distribute or sell products to any 3rd party sellers on Amazon. This product is sold exclusively on Professor FoamTM Amazon store. Other companies selling this product are counterfeits. Please make sure to purchase a genuine Professor FoamTM product for proper authenticity and warranty. Springer Pumps S-32014SP Mechanical Seal; Replaces Berkeley S-32014. Springer Pumps, LLC is pleased to offer our clients Springer Parts! Springer Parts are replacement pump parts, pump replacement kits and replacement mechanical seals. SPLLC proudly offers them 20 - 40% below OEM. Our replacement part warranties match or beat the OEM's warranty. SPRINGER PARTS ARE NOT OEM PARTS. THEY ARE AFTER MARKET OEM REPLACEMENT PARTS. High-quality marine engine spare parts. Oil seal. Reference to Mercury : 26-161622 Reference to Tohbatsu : 346-65013-0 Internal diameter : 17.00mm Most of you will already understand these basics of how an oil seal is designed but we wanted to put this tip out for people new to the field. In an oil seal environment there is a shaft that is rotating inside a housing or bore. Because of friction, there must be some clearance between the shaft and the bore. The function of the oil seal is to stop whatever fluid is inside from leaking out the clearance between the shaft and housing. The seal may also be used to prevent outside materials, such as dirt, from moving in through the clearance. "Dynamic sealing" is the relationship between the rotating shaft and the seal and is handled by the sealing element. A garter spring may used in the oil seal to increase the radial interference between the seal lip and contact point on the shaft. In order to achieve this interference, the oil seal's ID must be slightly smaller than the diameter of the shaft. "Static sealing" is the relationship between the housing and the seal. In order to achieve this interference, the oil seal's OD must be slightly larger than the diameter of the housing or bore. 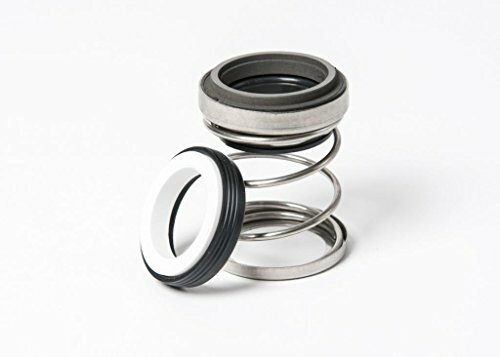 An oil seal normally consists of three basic components: the sealing element, the metal case and the spring. The purpose of the sealing element is to stop the fluid from leaking between the shaft and housing. The metal case will give rigidity and strength to the seal while it is being held in the bore or recessed groove. 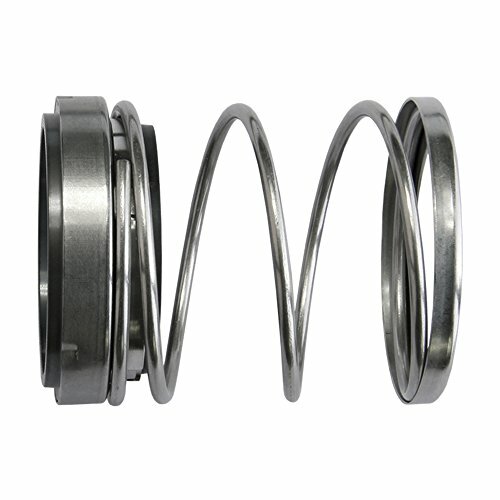 The spring will help make the sealing element more effective. All materials must be selected depending on the environment in which the oil seal will function. Resist oils, hydraulic fluid and water. 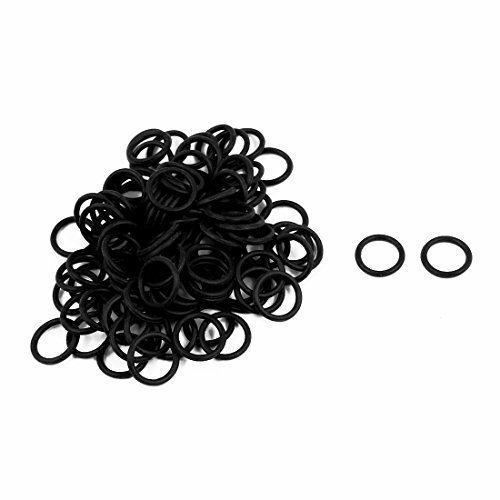 Flexible nitrile rubber O ring seal. Features:7mm outside diameter and 1.5mm thickness. These O ring are used on automotive components, machinery components, and bathroom facilities, household electrical appliances and electronic instruments, etc. Resist oils, hydraulic fluid and water. 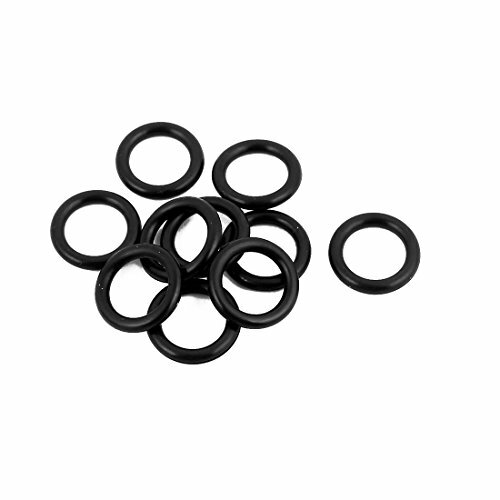 Flexible nitrile rubber O ring seal. Features:10mm outside diameter and 1.2mm thickness. These O ring are used on automotive components, machinery components, and bathroom facilities, household electrical appliances and electronic instruments, etc. 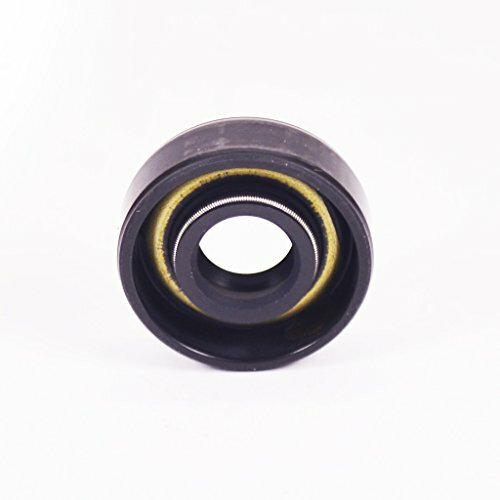 Allowable Operating Conditions of Standard Shaft Seal Environment temperature( ) Lip Material: VITON Maximum Normal Temperature: 150 Normal Temperature: 120 Minimum Temperature: -16 Surge pressure limits of TCZ type shaft seal: 0.3 MPa (3 kgf/cm2) Maximum Allowable Total Shaft Run-out Shaft-to-Bore Misalignment: 0.1mm TIR or less Shaft Dynamic Run-out: 0.05mm TIR or less Note(1): The working ranges listed a general guide based on the general seal shape and material, and may vary with actual working environments or seal designs. For use at higher linear shaft velocities, higher pressures, or higher/lower temperature regions, please contact us. 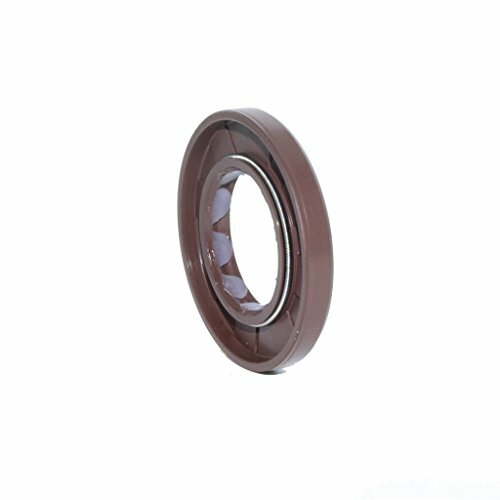 DMHUI is a leading shaft seal manufacturer with 17th experience in China mainland. As a professional manufacturer, we mainly exports rubber sealing products. Various in styles, including hydraulic oil seal, gearbox oil seal, o-ring, various rubber parts etc.